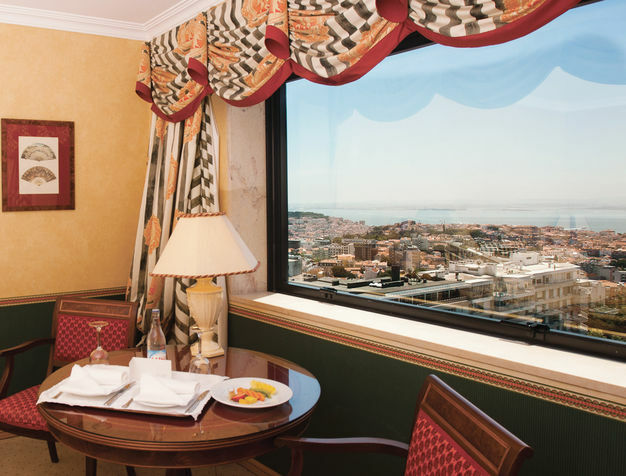 "The Dom Pedro is the most beautiful Hotel, and is wonderfully placed to explore Lisbon. The first thing is that it is at the top of a hill, with the most magnificent views of the river. 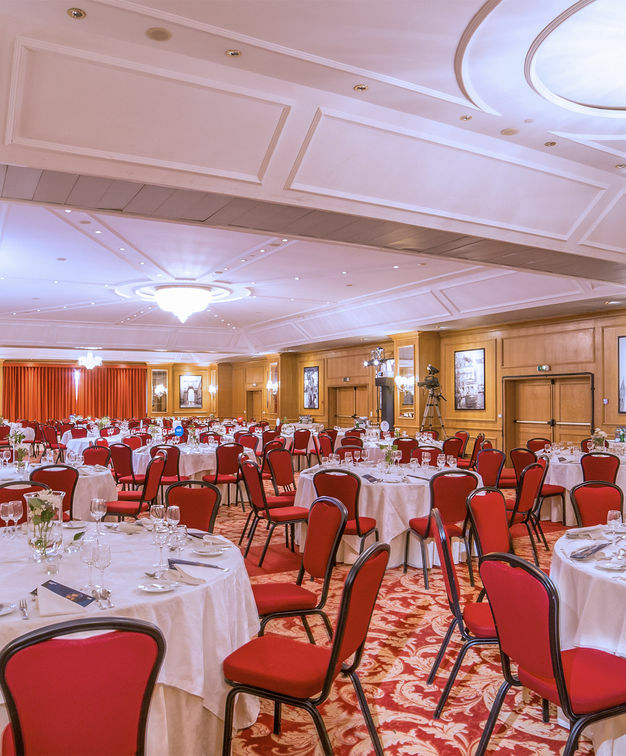 The views from our room, the restaurant and the VIP lounge are magnificent." Il Gato Pardo is one of Lisbon’s finest Italian restaurants and has an adjoining bar area and terrace offering sweeping views of the city. 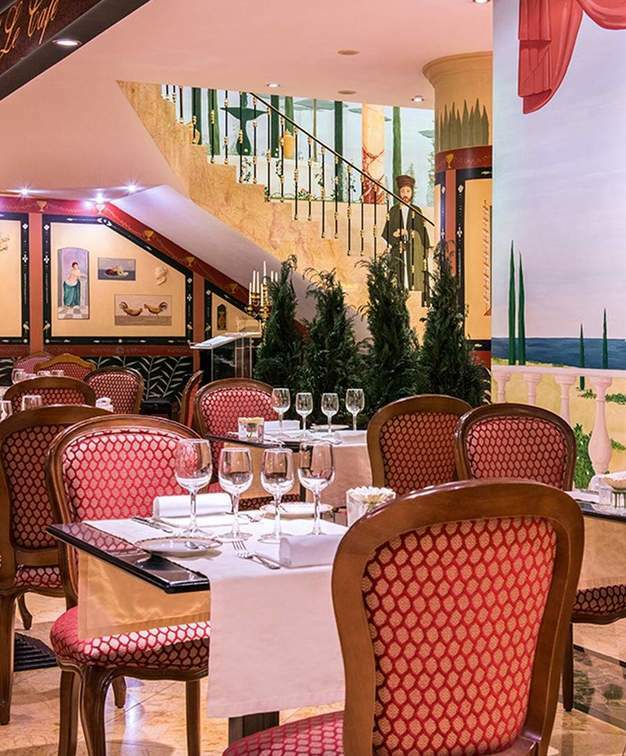 Le Bistrot Le Café with sophisticated décor inspired by the French bistro is located in the hotel lobby and is perfect for a quick business meal or a drink with friends. 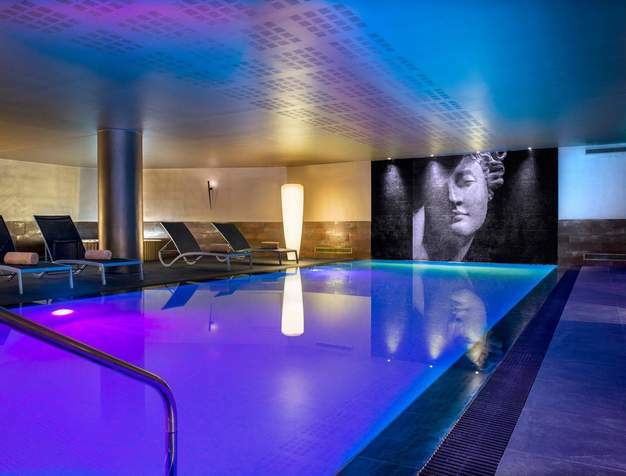 Dom Pedro Lisboa features a full range of spa facilities with an indoor swimming pool. The Spa Aquae is open every day and offers a hot tub, chromotherapy, Turkish bath, sauna and a cardio-fitness room to work-out. There are also 3 treatment rooms where guests can enjoy a range of massages and therapies. 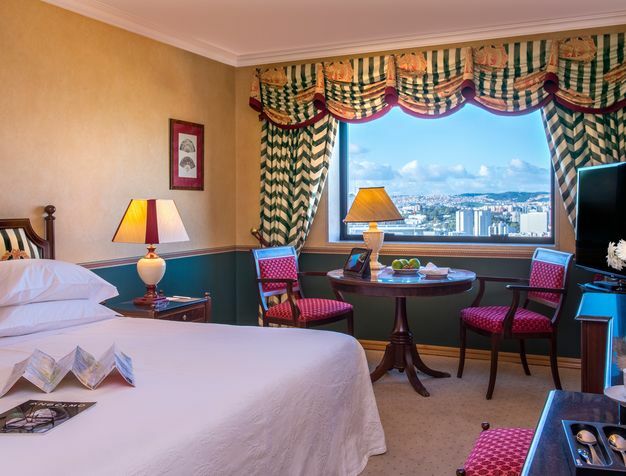 The hotel is also a 10-minute walk from the high-end stores and boutiques of Lisbon's prime shopping artery – Avenida da Liberdade.